A canonical figure in American painting, George Inness (1825-1894) is widely admired as the pioneer of the landscape aesthetic known as Tonalism, which is distinguished by soft focus and diaphanous layers of paint. This is the first book about the artist's two Italian sojourns (1851-52 and 1870-74) and their formative impact on his work. Italy-its art and its landscape-offered Inness a font of inspiration as he developed his unique artistic vision. 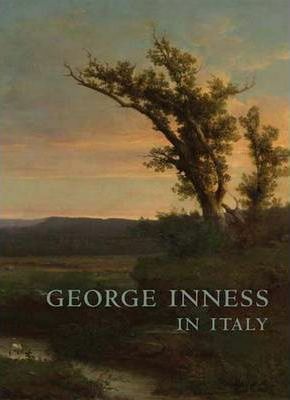 This handsome book presents ten oil paintings surveying Inness's Italian subjects dating from 1850 to 1879, including the Philadelphia Museum of Art's recently restored Twilight on the Campagna, which has not been on view since 1952. This was the first of Inness's works completed in Italy, and its reemergence offers a unique opportunity to reconsider the career of a leading American artist.